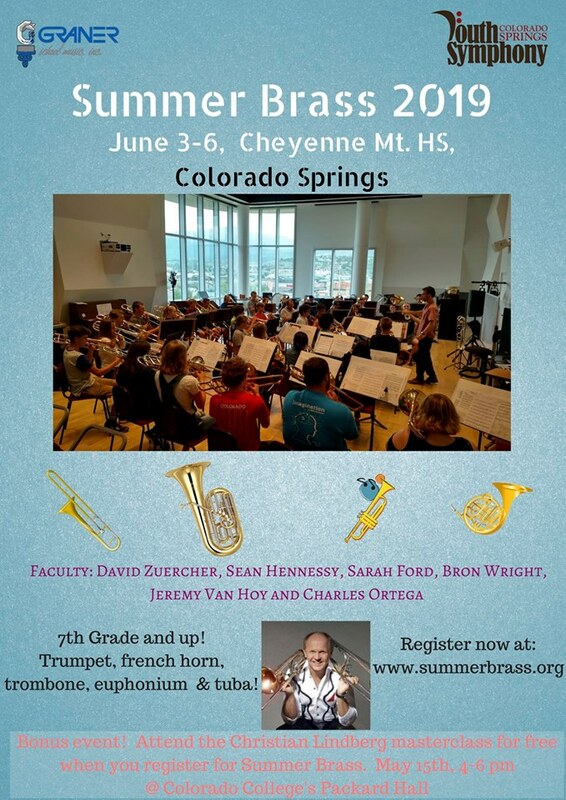 If you are in the Colorado Springs, CO area, and enjoy playing a brass instrument, please attend out event. It is a few days of brass fun. No change in the cost from previous years. Our dates are June 3-6 at Cheyenne Mountain High School. You and I are barely acquainted, but I'm really glad to see you doing so well.